Dr Sara Delamont (DSc Econ, AcSS) has been honoured with the Lifetime Achievement Award at Cardiff University's Celebrating Excellence Awards. 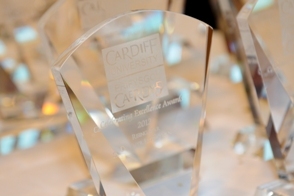 Launched in 2012, the Celebrating Excellence Awards for staff represent the University's appreciation of staff who have demonstrated an outstanding commitment and contribution, and who are recognised for going above and beyond the call of duty. The award recognises the contribution made by an individual over a career that has led to accomplishments that may have significantly shaped the University, its reputation or the wider community. In a career spanning forty years, Dr Delamont's research has covered many different areas and disciplines including anthropology, feminist and gender studies, the sociology of education, food, professions and qualitative research methods. She is currently doing ground-breaking ethnographic research on Capoeira, the Brazilian martial art, and Savate (French kickboxing). Sara is a Reader in the School of Social Sciences, teaching at undergraduate, Masters and Doctoral levels. She is a continued source of support and inspiration to students and staff at the School for her traditional approach to teaching and her commitment to developing the future leading academics in social science. Dr Delamont was also acknowledged for her contribution to the 2008 RAE and 2013 REF Sociology sub panels. Earlier this year, Dr Delamont was awarded the British Sociological Association Distinguished Service Award for her contribution to British Sociology. Her latest book, Key Themes in the Ethnography of Education (SAGE), was published on 5th December 2013.